Microsoft emphasises need for educational institutions to produce industry-ready professionals for the IT Sector. Microsft says it is providing tools, technologies and training to about 1,000 Independent Software Vendors (ISVs) in India with the objective to promote a developer ecosystem in the country that can compete at a global-level. The software major further says it is making significant investments in the ecosystem, as it now works with 1.2 million developers – which also happens to be the second-largest developer ecosystem for developing apps on its latest platforms — Windows 8, Windows Phone 8, Office 2013, Office 365 and Windows Azure. 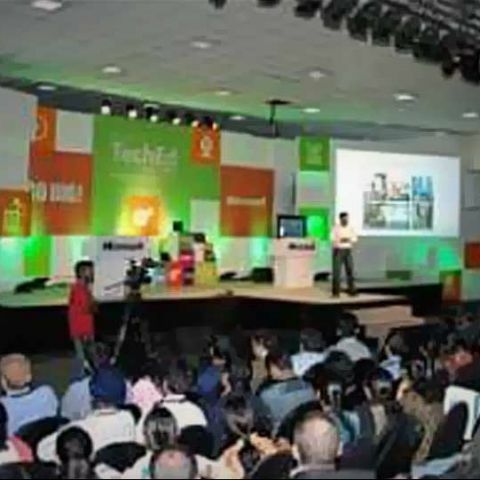 Microsoft made the revelation at the two-day “TechEd 2013” event in Bangalore. "We have played a big role in developing high-end skills of ISVs, IT professionals and students. As a result, our partners have greater opportunity to create modern apps (applications) connected to cloud services that make information more accessible to users on any device at any time," says Joseph Landes, General Manager - DPE, Microsoft India. Microsoft has been working with the Indian developers for quite some time to popularise its new platforms such as Windows Phone 8 and Windows 8. The company has been hosting events such as 'Windows AppFest', 'Tech Days,' the 'I Unlock Joy' and 'Mobile Acceleration Week' to increase participation of the Indian developers. The recently held Windows AppFest held at Bengaluru created history by setting a world record for the ‘Most Participants in a Software Development Marathon in One Location.’ At the 18-hour long event, the total number of coders was logged at 2567 by Guinness officials present at the venue. Read Microsoft's Windows App Fest sets a Guinness World Record. Microsoft stresses the need for educational institutions to produce professionals for the IT sector. "As the Indian IT industry matures, it is imperative that skill building should be the focus area for progressive growth and to bridge the opportunity divide amongst youth in India," adds Landes while pointing out the employability rate in the country's IT service sector has slumped to 16.4 percent from 29.4 percent in 2012.
how do i add Indian debit card (sbi cards) as payment method in Microsoft store ?